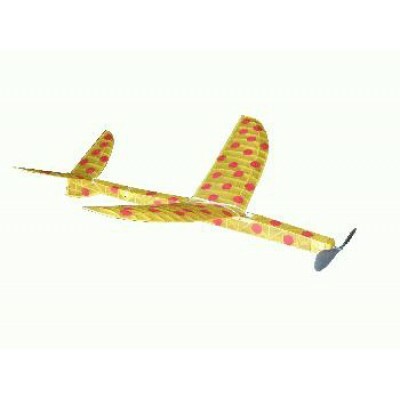 The original Baby-Speckled Bird was designed by George Perryman and flown to a first place in P-30 at the 1978 Nat's with a time on 11 min, 13 sec. The BMJR Speckled-P30 is based on this original design in plan form but has been scaled up slightly to a 28" wingspan, with 134 sq. in. of area, and 30" fuselage length. 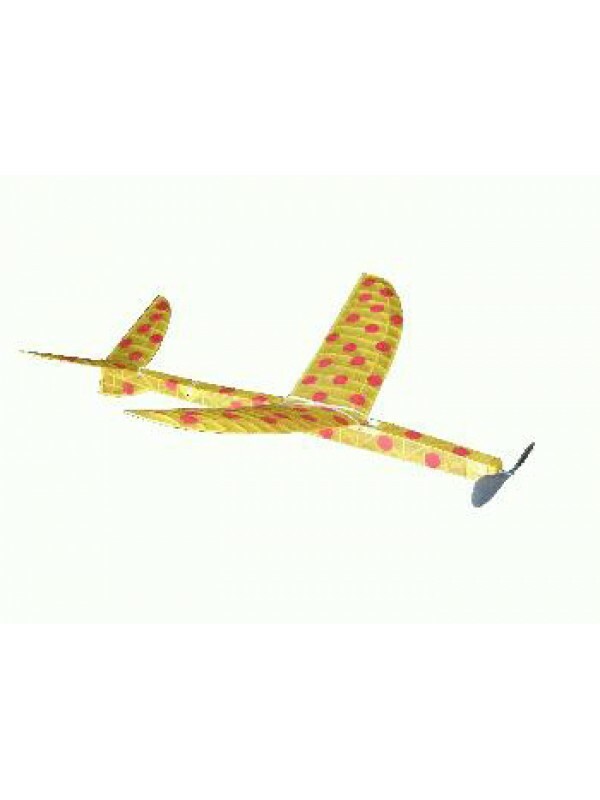 The distinctive Speckled Bird lines have been retained but the structure has been changed to accommodate laser cutting technology for ease of construction, and to reduce weight where ever possible to achieve the 40 gram target weight of this larger model. Our Speckeled P-30 is the most consistent flying P-30 we have flown and took 1st place at the 59 King Orange meet in Palm Bay FL in 2013.